But as the NOAD definition makes explicit, lukewarm carries a connotation (technically, an implicature) of failing to achieve hot: what is lukewarm “should be” hot. Lukewarm tea should be hot. In contrast, something that’s not cold enough, that’s not chilled (like a British beer, as encountered by an American) isn’t usually described as lukewarm, but merely as warm. If you google on lukewarm, you’ll get a ton of hits (on evangelical Christian sites) for lukewarm Christian / Christianity, referring to failures to achieve true, “hot” Christianity (which, among other things, requires that the true Christian is committed to hating sin, while lukewarm Christians fail by counseling tolerance, towards homosexuals for instance). However, the expectation of hotness in the semantics of lukewarm is only an implicature (not an entailment) of lukewarm, so the word can be used to refer merely to a midpoint on the temperature scale if the hotness expectation is not particularly relevant in the context (as, presumably, in #1). People invent etymological stories all the time, using chance similarities in sound or meaning and associations that occur to them — from those spinning plausible, even entertaining, tales. It’s an innocent occupation, even though it fails to do justice to the grindingly difficult work of unearthing the details of actual word and phrase histories. Associations for the luke of lukewarm. Now, fodder for your etymythological play. Offered in no particular order. Greek whiteness. Greek leukos ‘white’ in leukemia, leukocyte / leucocyte, etc. The Apostle Luke. Check the Gospel of St. Luke for useful material. Random associations: Cool Hand Luke, Lucas Cranach, George Lucas, Lukas Foss, Luca della Robbia, Dean and Deluca, Luc Montagnier, Lucius Beebe. Pun time. Just a couple of possibilities: the werewolf Luke Garou, the roller coaster Luke the Luke. 2/4 other random associations: Lucania (allegedly containing the root of all the Lucas-derived names, Lucas meaning someone from Lucania) and the ancient Lucani inhabitants who spoke Oscan. 4/4 other random associations: Canadian French idiomatic expression: “Attache ta tuque, mon Luc” (Fasten your beanie, Luke!) which means simply ‘get ready’. 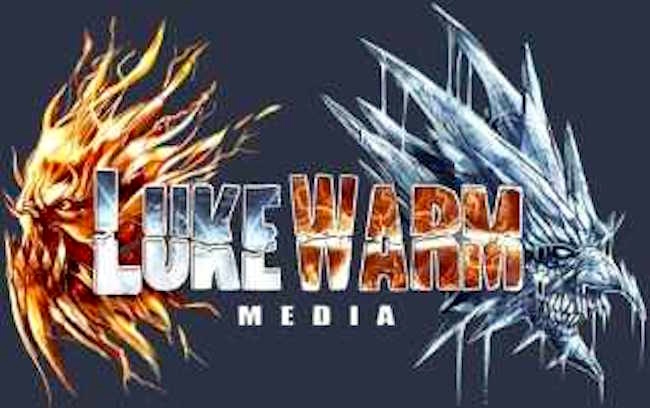 Another “Luke-warm” association! This entry was posted on October 26, 2016 at 8:48 am and is filed under Etymology, Etymythology, Lexical semantics, Linguistics in the comics. You can follow any responses to this entry through the RSS 2.0 feed. You can leave a response, or trackback from your own site. Aha! My daughter started saying Papawarm just last week! “Lukewarm” is a charming example of a bilingual phrase entering English, dating from the Norman conquest. It combines the French phrase “au lieu que” (meaning instead of) with Old English ‘warm’ to disdainfully describe something which ought to be warm but is not, i.e. “in place of warm”. In English, the initial syllable of the phrase ‘au’ is dropped and “lieu que” is contracted and anglicized to ‘luke’. This, “lukewarm” was born. Alternatively, there are those who claim the word is actually a bilingual rebracketing of ‘lieu’ plus Old Norse ‘kwarm’, again anglicizing to ‘lu+kwarm’ and finally ‘lukewarm’. Like most words, this is an acronym. In this case, it’s “left until King’s event”, that is, a dish prepared in advance for a banquet or ball, and hence only warm, not hot, at the time of eating. “Like most words” is a nice touch. As GM knows (though I didn’t mention it in this particular posting), acronymic sourcings, especially for everyday vocabulary, are mainstays of mythetymology. The rest is trivial: warm with oven, luke-warm with open luke. Let’s see, “luke” = “l + ook(y)” “ooky-warm” – strong hint for an origin in Western Romance or Arabic. Even better: “ook(y)” lacks a thorough origin story. I say look at L’Andalus for l’explanation. Added to the list: “nook/nooky” <~ “un ook” – of course, it’s ooky being in a(n) (n)ook! Because it’s Matthew cold, Mark cool, Luke warm, and John hot.